“What’s your favorite thing to do?” I can answer this question with “Teaching at Tustin Dance Center!” For 25 years I immersed myself as owner, director and instructor of TDC. It was my heart’s delight to work with dancers of all ages, especially growing the little ones from the beginning of their (hopefully) long attachment to the world of dance. I began dancing as a child and continued through high school. I found dance to be a place where I could be creative, energetic, and around others who loved to dance as much as I did. When I went away to a Christian college, I took a slight detour and planned my career as an elementary teacher. Although I did that for 15 years, it wasn’t until I re-entered the dance world by teaching that I felt fulfilled. It was a blessing that I was able to use the talent that God gave me to teach and to be creative in dance while working with His children. Now that I have passed the dance baton on to Ms Kelly (my extremely talented, beloved friend for over 20 years! ), I am thankful to be on staff as a teacher at Tustin Dance Center, doing what I LOVE to do! My prayer is that every dancer who steps through our doors will experience many, many years of fancy-foot happiness! 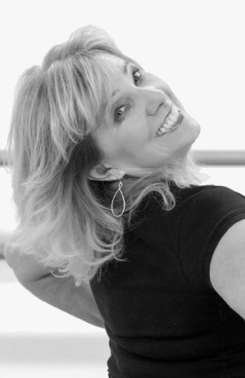 Barbara has been a part of the TDC team for over 25 years and teaches Youth Jazz and Tap classes.